If you don't subscribe to Quick Deals via email, you should to make sure you don't miss out. 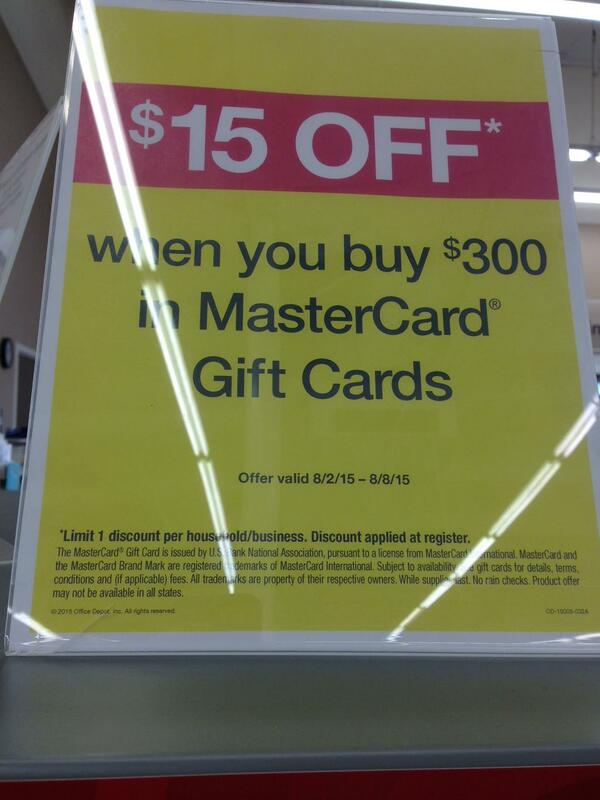 OfficeMax is having a sale on Mastercard Gift Cards. $15 off $300 of Gift cards. These will not last long on the shelves. 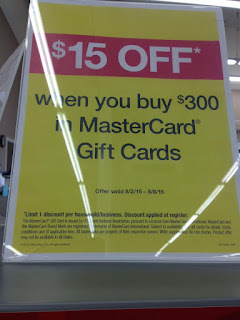 Best Value is to buy 3 $200 Gift cards to get $30 off. You can either use Chase INK for 5x Ultimate Rewards or you can split tender with multiple American Express cards if you added the $10 off $50 purchase at Office Depot/Max, though the cashier may not like you. When the register asks if the amount is correct, click on "No" and then the cashier can enter the correct number.